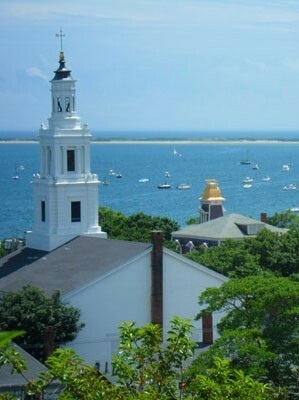 Provincetown and the Pilgrims – A bit of Trivia ! How much do you know about the Mayflower, Pilgrims, Wampanoag Indians and Provincetown? Here are some interesting facts about them. Before the Pilgrims hired her, the Mayflower was in the wine trade with France; before that, she was in the fish trade with Norway. It took the Mayflower 66 days to reach Massachusetts and while traveling to the new world there was one baby born on board the ship. The Pilgrims landed at Provincetown, MA, at the tip of Cape Cod, on November 11, 1620. Since the land was not good for farming, they moved to Plymouth. To eat, the Pilgrims used a knife, spoon, a large napkin, and fingers…no forks. They also shared plates and drinking vessels. In the Pilgrim household, the adults sat down to dinner and the children waited on them. Pumpkin pie and cranberry sauce were not eaten at the first Thanksgiving. The Pilgrims did eat roast wild fowl such as duck, goose, and turkey; corn meal; cod; sea bass; and venison brought by the Indians. Now while in Provincetown you can find some of these prepared in a delicious way particularly at the Mews Restaurant or one of my favorites the Red Inn at the end of Commerical Street. Now to know a bit about the first people that first inhabited Cape Cod, it was the Wampanoag Indians of southeast Massachusetts who befriended the Pilgrims. Their name means “People of the Dawn” and they continue to live on Cape Cod, Nantucket, Martha’s Vineyard, and inland. Now Provincetown is settled by a very diverse and interesting crowd. By the 1970s, the town’s long tradition of tolerance and progressive attitude coupled with its beautiful environs and exciting town scene led to the adoption of “P-town” by the gay community. Today, Provincetown retains many elements of its past, rich heritage while remaining a haven for the arts and alternative communities. The diversity of its population lends itself to an extraordinary blend of small town charm and big city sophistication. This is a town where everyone will feel at home and stay in one of those charming all American Bed and Breakfast such as the well known Revere Guest House. 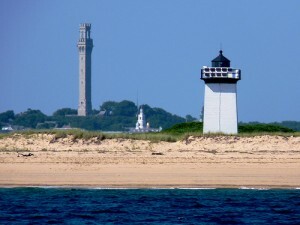 Posted in Provincetown Bed and Breakfast | Comments Off on Provincetown and the Pilgrims – A bit of Trivia ! Dozens of humpback whales have been spotted off the coast of Provincetown Cape Cod Massachusetts. Restrictions have been put into place to make sure the whales are protected. “The biggest threat” in the past had been shop strikes, but a year ago the federal government passed a regulation to slow ship speeds up and down the eastern seaboard while these whales moved into the Cape Cod Coast. Scientists said they are encouraged about the future of the whales, who have experienced a bit of a baby boom in recent years. The hope is that the more people see these beautiful creatures, the better the commitment to help them thrive. 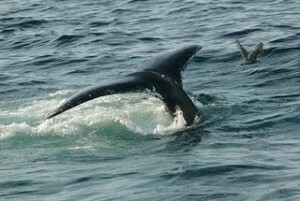 You can go on a whale watch excursion from MacMillian Wharf in Provincetown, Massachusetts. There is Dolphin Fleet or the Portuguese Princess Excursions. So come to Provincetown for a few days not only to go whale watching but to enjoy some of the most beautiful beachs on the east coast. 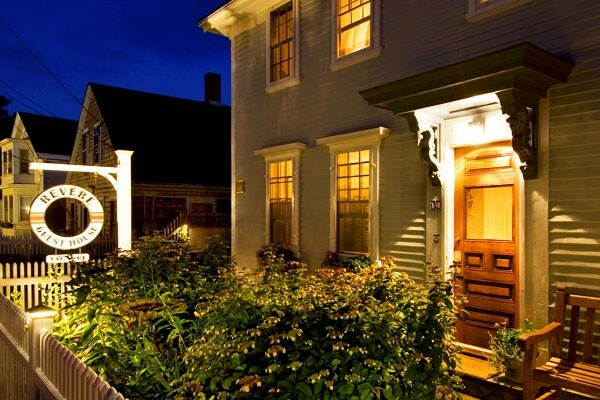 You can stay at one of the most distinctive and historic inns in Provincetown has to offer, The Revere Guest House. It will become one of your favorite Ptown accommodation. Provinctown bed and breakfasts are located throughout this cute New England town at the very tip of Cape Massachusetts, so choice in accommodations is what Provincetown is all about. In some resort and vacation destinations you’ll find one or two establishments that cater to the GLBT traveler. In Provincetown the number is in the hundreds. None of the bed and breakfasts in Provincetown are exactly the same either. They are all as unique and different as the people that visit. Perhaps due to being at the remote end of the Cape and because of its variety of beautiful scenes, Provincetown has attracted artists of all types over the years and is one of the oldest artist colonies in America. There is also the persistence of an attitude of tolerance, making Provincetown a preferred home and travel destination for many gays and lesbians. “P-town”, as it is sometimes called, also has an intriguing history as the first landing site of the Pilgrims and the place where the Mayflower Compact was signed. Fishing and whaling have also been a huge part of Provincetown’s past. Its large, safe harbor and prime location made it the Cape’s fishing center, with thousands of ships calling it home port. The glory days of fishing are now gone and only a couple dozen ships continue the traditions but it has become a wonderful vacation destiny and a place to go whale watching. 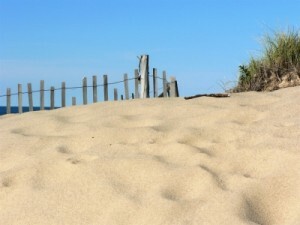 Provincetown is also blessed with pristine beaches all around and dunes on the Atlantic side. Race Point Beach has often made the lists of top beaches in America. It is also one of the few spots on the east coast where one can watch the sun set into the water. So now is the time to come to Provincetown where you can enjoy a wonderful and comfortable stay at one of these unique bed and breakfasts while also enjoying the sun, entertainment, beaches and shopping.